Based on the ancient lyre, the Irish harp is one of the world’s oldest instruments. The ancient Irish kings employed harpist to entertain them. At one sad point in Irish history conquering invaders made it illegal to posses an Irish harp and set out to burn every harp in Ireland in an attempt to kill the “Irish spirit”. 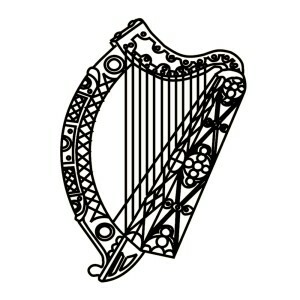 Greatly honored, the harp is the national emblem of Ireland. 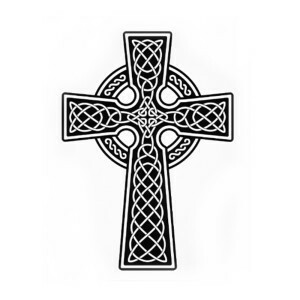 The Celtic Cross can be found throughout Ireland. Some of the cross date back to the period of the Druids when St. Patrick came to Ireland to bring Christianity to them. The Druids used large stone to mark territories and land masses. Each cross found in Ireland today will tell you a story or a part of history that is timeless to see. Some believe the circle represents no beginning and no end (eternal life) and to others the circle represents the sun. It is worn by many as a symbol of their culture and their faith. The Celtic high cross was probably the most important achievement in the entire history of Irish sculpture. Generally sculpted from sandstone and reaching a height of twenty feet. 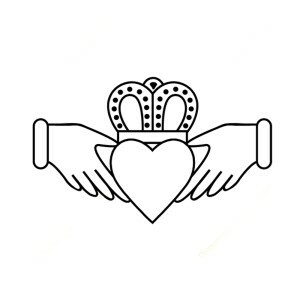 The crown symbolises loyalty. The hands symbolise friendship. The heart symbolises love. The Celtic knot symbol, is also referred to as the mystic knot, or the endless knot. In viewing these beautiful knots, we cannot see a beginning or and end, and therefore we are reminded of the timeless nature of our spirit. This translation harkens to our most primal selves as we contemplate the infinite cycles of birth and rebirth in both physical and ethereal realms. A less spiritual representation is also related to the knots endless nature. 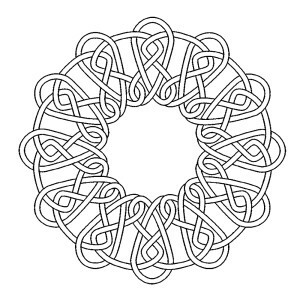 Due to it’s infinite path, the Celtic knot can represent an uninterrupted life cycle. 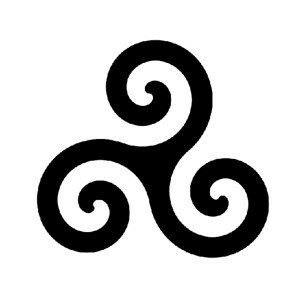 Some may use this symbol as a charm of sorts warding against sickness or setbacks that might interfere with an otherwise calm and stable life. The spiral is found on many Dolmens and grave sites. Its true meaning is not known for sure, but many of these symbols were found as far as Ireland and France. It is believed to represent the travel from the inner life to the outer soul or higher spirit forms; the concept of growth, expansion, and cosmic energy, depending on the culture in which it is used. To the ancient inhabitants of Ireland, the spiral was used to represent their sun. 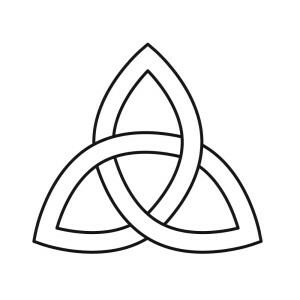 The Trinity Knot, or the Triquetra, is one of the most common of the knot ilk. The term Triquetra comes from Latin, and it means “three-cornered.” All of the various interpretations agree on a culmination of thee parts. Early Christian understanding views the symbols as the Father, Son and Holy Spirit. Another understanding can be found in a more metaphysical arena where the three corners represent mind, body and spirit. 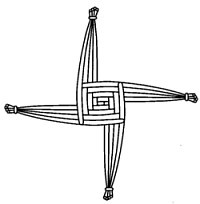 Legend has it that St. Brigid visited a pagan chieftain on his deathbed. As she sat by his bed, she reached down and picked up some rushes from the floor and wove them into a cross. The chieftain asked what she was doing and she told him about the significance of the Christian cross and how Jesus had died to save all people, including him. 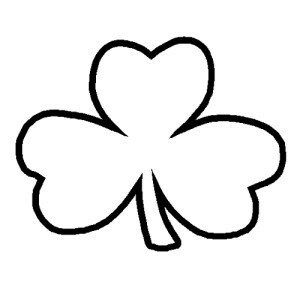 Based on the three leafed clover that abounds in Ireland, it’s cultural significance goes all the way back to St. Patrick and is uniquely tied with him as the symbol of Ireland. Even prior to the arrival of Christianity it was believed that the no. 3 was a perfect number and had inherent mystical powers. No one is quite sure why they believed this but it is possible the number signified totality – past, present and future. The Celts attached great significance to the number and this is clearly expressed in their artistic symbolism. St. Patrick, when he set out to convert the Celtic inhabitants of Ireland, used the significance of the number three and, according to legend, he used the plant to illustrate the Christian concept of the Trinity.